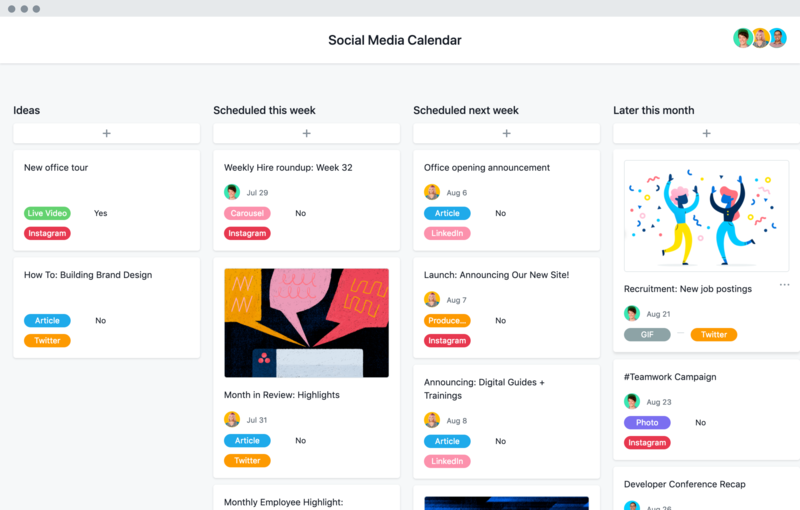 From tracking every tweet, post, and story to getting a high-level overview of your strategy, do it all with our social media calendar template. Create and manage a clear publication schedule. Make it clear which posts are going out when and on what channels by mapping them out on your social media calendar. Share it with stakeholders so they know your publication schedule, too. Take action on trends faster. With a clear schedule and social post templates, you can quickly jump on new trends or topics as they emerge so your brand doesn’t miss out on a moment. Cut the back and forth. Create and publish social content and visuals faster by assigning, reviewing, and approving work in one spot. Easily assign tasks to team members so everyone knows who’s doing what, when on the calendar. Use our social media calendar template to kick-start your next viral campaign. Once you’ve planned your social media calendar, use these tips to manage your strategy and workflow. Meet the Mashable team using Asana to deliver social content at lightning speed. Keep social posts on track with our social media calendar template. Start a free trial of Asana Premium today.